Roman Garstang feels like his life has improved. But then, after the school introduces a cruel jam doughnut ban, he is forced into a chicken nugget-only diet. 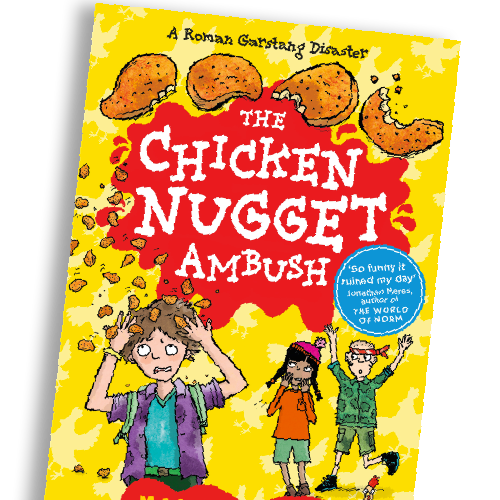 With his Year Six residential around the corner, Roman is about to find out that nuggets are not harmless. In fact they’re like little ninjas in breadcrumbs – waiting quietly on his plate so they can leap out and attack him. This is not a book. It’s a survival guide. The sequel to The Jam Doughnut That Ruined My Life.